Correction: September 9, 2003, Tuesday An obituary on Aug. 14 about Diana Mosley, the British aristocrat who was a staunch supporter of Hitler and fascism, referred incompletely to Esmond Romilly, who had married one of her sisters, Jessica Mitford. Although Mr. Romilly was a rebellious young man of privilege, he also became a published writer and an ardent anti-fascist who fought against Franco in Spain and, while serving in the Royal Canadian Air Force, died in 1941, at 23, in a bombing raid against Nazi Germany. That Esmond was a “wastrel”, or some similar term, is a view often put forward in the various books about the Mitford family. Although he never joined the Communist Party, he spent a lot of energy, as a teenager, on calling himself a Communist, and he fought with the International Brigade in the Spanish Civil War, and in 1930s terms he was certainly a rebel – but “wastrel”? Unfortunately, two books by people who adored him do rather contribute to this view. In Philip Toynbee’s Friends Apart, and Jessica Mitford’s Hons and Rebels Esmond seems an opinionated, unscrupulous chancer, wild, perennially broke because of his gambling, an iconoclast, and a damn nuisance. However, the two books he wrote (Out of Bounds: The Education of Giles Romilly and Esmond Romilly* – co-written with his brother — and Boadilla, about the men he fought with in Spain) and his letters, reveal a much more interesting figure. These sources show an intelligent, funny, tough, sometimes naïve boy (and it must always be remembered how very young he was: fifteen when he became famous for running away from school, eighteen when he married, twenty-three when he died), a fine writer, a loyal friend, loving father, faithful husband. Engagingly, he was under no illusions about himself, and had a nice line in sending himself up. Books date, opinions and attitudes change, and what was screamingly funny or clever in a past era now seems bewildering or very unfunny indeed. But it is my opinion (and of course no more than that) that in writing Hons and Rebels some twenty years after her time with Esmond, Jessica was keen to present a picture of them as “two against the world”, two aristocratic rebels who fell in love, opposed their families’ politics, lived rather riotously, and were cast out as a result. There is truth to this view, but, again, letters and other personal papers show things a little differently – plenty of friends, concerned families, enough money, steady jobs. 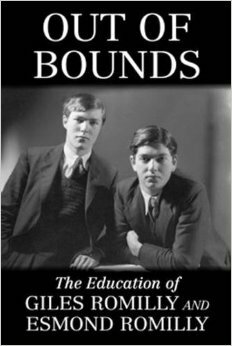 Toynbee seems to have fallen completely (certainly not in any sexual way) for the rebel boy who’d escaped his public school, loudly espoused Left-wing politics, and helped publish the subversive journal, “Out of Bounds”. Leaving his own school to join this delightfully rebellious hero in London, Toynbee quickly found himself out of his depth when faced with Esmond’s reality; also, it has to be said, Toynbee was a sucker for Esmond’s tall stories and Esmond enjoyed leading him on. They were friends for a while, then lost touch, and (again, as letters show) Peter Nevile and then the American writer Selman Rodman, not Toynbee, were Esmond’s closest adult friends. Researching for my book about Jessica and Esmond, I was able to explode one of Toynbee’s stories that made its way into other books and helped to damage the Romillys’ reputation. In brief, Toynbee describes a visit he, Jessica and Esmond paid to Lord Faringdon of Buscot Park in November 1937. Toynbee says the Romillys forced their host to let them stay the night, then proceeded to steal, tease the servants, and make thorough and obnoxious pests of themselves. Apart from the fact that Lord Faringdon was of a left-wing persuasion, supported the Republican cause in Spain and gave a home to refugees from the war, and so would not be someone Esmond would want to offend – well, the present Lord Faringdon emailed me a scan of the Buscot Park visitors book for the night in question. Yes, Jessica (8 months pregnant) stayed the night, but Esmond didn’t. He may not even have dined there. It was all a story he made up to see if Toynbee would swallow it. No wonder that years later Jessica had only the vaguest idea of the past excitements Toynbee rattled off. Esmond’s mother was (Margaret) Nellie, née Hozier, third daughter of Sir Henry Hozier and his wife Lady Blanche Ogilvy, whose father was the Scottish Earl of Airlie. Marital fidelity was not a feature of Hozier married life, and most sources agree that Nellie’s father was Algernon Bertram (“Bertie”) Freeman-Mitford, Jessica’s paternal grandfather. Thus, Esmond and Jessica were second cousins because their grandmothers were sisters (Lady Clementine Ogilvy married Bertie Freeman-Mitford, later Lord Redesdale), and quite possibly also first cousins because her father and his mother were half-siblings. This may be yet another reason for the family panic when Esmond and Jessica wanted to marry. Nellie had a beautiful son this morning. But something went wrong with the chloroform apparatus & it was born absolutely without it…[The baby] came a fortnight too soon so nothing was ready, layette cradle and all were at Lullenden [their country home], I brought everything up this morning and found the poor midget ‘wrapped in swaddling clothes’. Much is made in various books about Esmond’s difficult relationship with his mother, so we could argue that this was because his birth was painful or difficult. I don’t think it’s as easy as that. Nellie was something of a drama queen who tended to “smother” her sons, and she and Esmond (himself no stranger to a spot of drama) swung between mutual devotion, impatience and stormy disagreements. In the diary that covers Christmas at Chartwell in 1931 Esmond records how his mother managed to irritate both him and Giles, and how much he missed her when she left. “I love her very much,” he wrote. He was also very fond of, and respected, his father, but it seems that Colonel Romilly was often away, or played a small role in his sons’ upbringing. He had been badly wounded in the war, he disliked noise, and was perhaps easily upset by family strife; he preferred the peace and quiet of Huntingdon Park, which bored his sons rigid. Both Giles and Esmond went to Wellington, which offered reduced fees for officers’ sons. As his diary shows, Esmond wanted to leave from the moment he arrived. Both he and Giles disapproved of the ethos of Wellington and public schools in general, and had a wonderful time ripping into it in Out of Bounds. Reading between the lines of Esmond’s diary and various books on the subject, it is possible to infer that Esmond, who always strenuously resisted any homosexual approaches, was troubled by that aspect of school life. In February 1934 they agreed they’d both run away. Unwilling or forbidden to go home, Esmond settled in at the Parton Street bookshop in Bloomsbury run by David Archer. It was fashionably left-wing, and from there he (and Giles, still at school) began their “subversive” journal “Out of Bounds” – subversive both politically and because it touched on sexual issues. Giles’s article “Morning Glory” could hardly have been more explicit for its era (hint: it wasn’t about the pretty blue plant) and another article told readers that masturbation was quite normal and didn’t send you blind. I am sorry you had such a bad time with Esmond, but was afraid it would be so. He seems to have been as much upset as you were and thinks, as I do too, that no ‘compromise’ of any kind is possible, anything that involves bargaining. You are quite right that it is the parental relationship which mucks up every-thing [sic]. Esmond is quite adult, and does not need it, and resents it. I think it is unfair to hold it over him, especially as without it there could always be considerable love between you. I mean, why insist on your rights, even if you think it to be for his good, when by doing so you wreck your personal relationship. If you remember, the promises about Communism and Out of Bounds were extorted from Esmond when he was thoroughly overwrought, as every other promise has been in the past. The appeal of ‘grey hairs in sorrow to the grave’ etcetera he has never been able to resist. You and Daddy have played on that appeal unmercifully, though you have almost destroyed its effectiveness with lamentation about money, heavy Bedales fees etcetera. If Esmond had the offer to live alone without interference or help, he would not refuse. And your money has not been wasted, for of course he has got far more out of his education at sixteen than the majority of people at twenty-one. And you admit that his character has improved. (That I see myself from his letters. )… Remember too the number of times you have been ‘converted’ to Socialism yourself. Remember the letter you wrote to the Daily Worker. If that had been allowed to appear – it was Esmond who stopped it – how could you address him as you do now without appearing a complete hypocrite? Actually I know of course that it is for Daddy that you are so unhappy… he tends to emphasise his own feelings, and you have always rather indulged him in that, so much so that he is now completely dependent on you. It might be better if you tried to persuade him that he is not so unhappy as he thinks, instead of augmenting it by encouragement, and making yourself unhappy at the same time by having scenes with Esmond. Is it necessary to call Esmond a murderer, for instance? … And does the blame rest entirely with Esmond anyway? I wonder whether these last couple of lines were a bit of a dig at Nellie, who’d written a novel, Misdeal, and published it under the name of Anna Gerstein in 1932. Toynbee reappeared on the scene. He says that he and Esmond got drunk and made some disturbance at the Romillys’ house in Pimlico. Exactly what happened isn’t clear in any source, but it seems that Nellie called the police, and both boys were arrested. Despite the judge’s criticism of parents who left a sixteen-year-old boy to his own devices, Esmond ended up in a Remand Home for nearly three weeks. His description of this dumping-ground for anything from criminals to homeless boys to mentally handicapped ones makes grim reading, although he made as light of it as possible, reserving his sympathy for the other inmates. I have always found selling fairly easy, as I am naturally inclined towards exaggeration and have often been criticized for an over-willingness to talk, and to go on talking… having no specialized knowledge of any kind, and not being troubled with an over-quantity of honesty or scrupulousness, it was, I suppose, inevitable that I should soon be selling somebody something. A faint echo of this, perhaps, in some of Jessica’s remarks about the salesmen of the funeral industry in The American Way of Death. Esmond took a couple of other jobs before, in October 1936, he went to Spain to fight on the Republican side. Boadilla describes his experiences very thoroughly, with humour and without pomposity or self-aggrandizement. Most of his friends died at Boadilla del Monte. Alive, but very ill with dysentery, Esmond was invalided home. He visited the families of all his dead comrades, then in February 1937 went to stay again with Mrs Allhusen. In the small house-party was the cousin he’d never actually met: Jessica Mitford. The story of their falling in love and running away together, intending to get back to Spain, is probably very well known to everyone reading this. It’s a long and involved story, with Jessica’s family dragging Scotland Yard and the government into it, an attempt to lure Jessica onto a British ship and bring her home forcibly, her parents making her a Ward of Court and so on and so forth. They were prevented from returning to Spain, and the more she and Esmond tried to get married quickly, the harder her family made it. In the end, because Jessica was pregnant, they were allowed to marry. They took rooms in their friend Roger Roughton’s house in Rotherhithe; not quite the slum this is often made out to be, at the time this was rather an arty, Bohemian little enclave. Esmond got a job as a copywriter with an advertising agency at a decent wage, Jessica did part-time work as a market researcher. They had a lot of friends and a lot of parties, saw a lot of Giles and even of some of Jessica’s family, and in December 1937 to their great joy their daughter Julia Decca was born. At about the time of Julia’s birth Jessica wrote to her younger sister Deborah, who had measles. It was possibly at the same time that their mother too had measles. Wherever she caught it, in May Jessica too had the disease very badly. The local health clinic people assumed she would have had it already, so that breast-fed Julia would be immune. Sadly, they were all wrong. At the end of May the baby died, aged five months. Her death certificate, lodged by Esmond, chillingly records that he was “present at the death”. He was still not quite twenty. Heartbroken, the Romillys left everything behind and went to Corsica to recover. Later they found a flat near Marble Arch, took up their jobs again, and watched their country’s reaction to the Munich Agreement and Kristallnacht. Certain that time was running out before Britain would be at war with Germany, and still mourning their baby, they decided to go to the United States. They loved egalitarian, friendly America, so unlike uptight, hide-bound England. The made friends, were asked everywhere; when Kay Graham invited them to stay with her parents, Eugene and Agnes Meyer, Jessica thought of her parents’ reaction if she’d invited two strangers home. They were genuinely popular with most of the people they met, but of course they were also a delicious curiosity with their aristocratic connections and background. Networking like mad, making friends everywhere, unsure of the future but treating the present as a working-holiday, they both got jobs, Esmond as a copywriter at the dizzying wage of $125.00 p.w. and later, again, as a silk-stocking salesman. When they’d saved enough they set out on what was meant to be a long tour of the USA. Thanks to Jessica’s bad map-reading they ended up in Miami. Claiming experience he didn’t have, Esmond got a job as a waiter at a small Italian restaurant. The fiasco is one of the funniest passages in Hons and Rebels and in the articles they wrote for their friend Eugene Meyer’s Washington Post. Ignominiously sacked, Esmond asked if he could take over the running of the restaurant’s bar – at least he had genuine bar-tending training. But the licence cost $1000, which neither the Romillys nor the restaurateur could afford. Bright idea: Esmond would borrow the money from Eugene Meyer. Eagerly outlining his arrangements to repay such a loan, Esmond didn’t even notice that Mr Meyer had said “Yes” at once. To the amusement of Meyer’s daughter, Esmond was so taken aback that all he could say was, “Oh! Well, I hope it won’t leave you short.” Mr Meyer, a multimillionaire, thought it wouldn’t. The loan was carefully repaid. Meanwhile, Russia and Germany had signed the mutual non-aggression pact, which left Communists looking silly. Soon, war was declared between Britain and Germany. Jessica’s beloved sister Unity, Hitler’s great friend, shot herself. Mad with worry about her, without hard news for months, unable to express herself to Esmond, who had no time for the Nazi members of her family, Jessica was besieged with requests for interviews and information. At last she heard that Unity had been brought home, brain-damaged and her life effectively over. During the “Phoney War”, September 1939 to April 1940, Esmond evidently had no faith in the Chamberlain government’s will to stand up to Hitler. He wrote an article, presciently titled “Britain’s Next Prime Minister” about Churchill, and no doubt wondered what to do. A lot of his American friends were Isolationist, and all he could do was tell them not to under-rate Britain. In April the Germans over-ran Norway and Giles Romilly, a civilian war correspondent for the Daily Express, was taken prisoner. He remained a prisoner for the rest of the war, most of it in Colditz. There was nothing Esmond could do but hope and try to get food parcels to his brother. Then his grandfather died, aged 90, and a week later his father died of cancer. Perhaps he thought of going home. Then, and it must have seemed all at once, Hitler cried havoc and let slip the dogs of war, and Churchill became Prime Minister of Britain. Esmond immediately enlisted in the Royal Canadian Air Force. Leaving Jessica with their friend Mrs Virginia Durr in Washington, he at once went north to begin his training. His and Jessica’s letters to each other reveal their misery at being apart for the first time in three years, and their determination not to burden each other with their loneliness. Humour and courage mattered most; everything else was understood. Jessica had conceived another baby, born February 1941 and named Ann Constancia, always nicknamed Dinky, or Dinky-Donk, or The Donk. (After the Democratic Donkey, because she’d kicked so hard in utero while Jessica was at the Democratic Convention.) Esmond wasn’t keen on the name Constancia; “it is right out”, he wrote to Jessica, but he’d taken so long to make up his mind about the baby’s name (he wanted “Carol”) that she’d gone ahead and registered the name anyway. Esmond did well in his air force training, although after several months, and passing several exams, he was told than a childhood operation for mastoid made him unfit for aircrew. Faced with being kicked out so suddenly and so late, he for once pulled strings, but instead of approaching his uncle the PM, or pointing out that an ancestor had been Governor-General of Canada, he asked a local MP for help. The matter was resolved somehow (if it hadn’t been, he said, he would have returned to England to enlist in the RAF, which would have sent him to Canada for training), he went on with his training, passed, was posted as an observer (navigator) and was finally commissioned (against his will, but it was too much trouble to refuse.) In June 1941 Pilot Officer Romilly was posted to England, to Bomber Command. For a long time he and Jessica couldn’t decide whether she and the baby should stay in America or join him in England. The death of RCAF comrades made him for once put off the defence of humour and admit how desperately he wanted her with him. At the very end of November she sent him an exultant telegram telling him she’d got passage on a plane and would be with him very soon. As if in reply, she got a telegram telling her that Esmond’s plane had failed to return from a bombing raid. There was no hope that he had survived. He had died on Churchill’s birthday, 30 November. Clearly, Esmond was someone people either loved or loathed; no middle ground, and nor would he have sought it. Most people who came to know him well liked him. By the time he died the noisy teenager had become a happily married man, a father, a dedicated officer in the armed forces and fiercely anti-fascist. The many, many letters Jessica and his mother received when he died all speak of people’s liking and admiration for him, and a sense of great potential lost. Churchill was both irritated and amused by his politics, but no letters between them seem to have survived. Had Esmond lived, he would almost certainly have gone into politics. If he had stayed in England after the war, he and Churchill might have ended up facing each other across the floor of the Commons. But Esmond died young, and Jessica was a widow at twenty-four. Too proud to go home or accept help, she struggled to raise Dinky on what she could earn, saving her air force pension for Dinky’s education. In 1943 she found another soulmate in Bob Treuhaft, and with him forged a career as a political activist and writer. But without Esmond – what would have become of her? Letters referred to in this article are mostly in the Jessica Mitford Archive in the Rare Books and Manuscripts Room of Ohio State University. Giles Romilly’s letter, quoted here, is in the GSB Romilly Archive in Hereford, and is used by kind permission of Edmund Romilly. Mrs Churchill’s letter about Esmond’s birth is in the Churchill Archives at Churchill College, Cambridge. The quotation from Out of Bounds is used by kind permission of Edmund Romilly. Copies of the four issues of “Out of Bounds” are in my possession. Other sources for this article are listed in my book Churchill’s Rebels: Jessica Mitford and Esmond Romilly. E-book Endeavour Press UK, 2013; paperback Umbria Press UK, 2014. Meredith Whitford is also the author of the award-winning Treason and Shakespeare’s Will (e-published as Love’s Will by Endeavour Press (UK). Both are available in e-book and paperback. Terence is a great friend of The Mitford Society, he has reviewed my book and is ready to promote and share anything we (or fellow Mitties) are up to. Debo loved television, thank goodness for that, how else would she have discovered Elvis Presley? If you’re a fan of classic television shows then you’ll love Television: Rare & Well Done: Essays on the Medium. Terence has written detailed essays on the medium, covering just about every genre imaginable. Our friends over at the Margaret Lockwood Society will also enjoy this book. In the spirit of Lady Redesdale our head is turned by physical beauty. 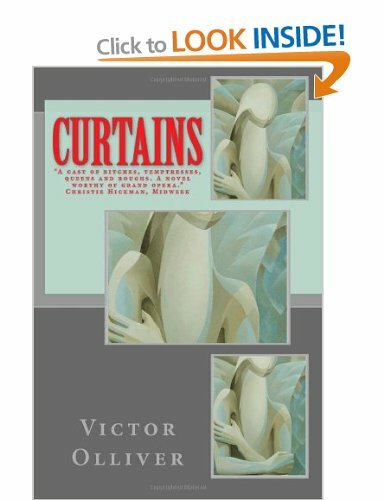 This production of a book (and it really is a production) is marvellous for fans of Vivien Leigh or for those who simply enjoy the majesty of old photographs. Kendra Bean has been working on Vivien Leigh: An Intimate Portrait for years, no stone was left unturned in researching Vivien’s life and as in the spirit of a new biography on a famous person she has brought something new to the mix. The bonus is that the biographical information is decorated by stunning photos. A real treasure. The sentiments of newness as mentioned above can be applied to Churchill’s Rebel. Meredith Whitford should also add ‘detective’ to her list of credentials given the vast information she discovered not only on Decca but on Esmond, too. Every fragment of their lives together (and apart) has been meticulously researched. Sadly The Mitford Society is quite old fashioned and doesn’t possess a kindle (I read this via review copy on PDF) but a little hon. tells us that the paperback will be available asap. Imperial Russia is a fascinating subject to The Mitford Society (don’t tell Decca!) and our lovely friend Christopher Warwick has written an in-depth biography of an overlooked figure of Russian royalty. His book Ella, Princess Saint & Martyr details the life of Queen Victoria’s granddaughter who rebelled against her grandmother’s wishes and married Grand Duke Serge Alexanrovich. It was at the wedding that her young sister, Alix, met the Grand Duke’s eldest brother, Tsar Nicholas II. A fateful match indeed. I enjoyed this aspect of learning about the Russian royal family as I had only been familiar with the Tsar and Tsarina’s assassination. A must read for fans of royalty. The Mitford Society shamelessly won a Twitter competition (unwittingly, mind you) and thank goodness the bookish fates seemed to be at work. What a delight to receive Z: A Novel of Fitzgerald in the post. It is a stunning book, the gorgeous cover alone makes for a wonderful decoration on a coffee table or bookshelf. But over here we love reading ours books as well as admiring them! The story is written from Zelda’s point of view which allows the writer Therese Anne Fowler to explore her subject without abiding to the restrictions of a conventional biography. Such a gripping book I gifted a copy to my friend. It will make for a most charming gift this Christmas, for yourself or others! Simon & Schuster is sending The Mitford Society some exciting biographies to review. And with Christmas just around the corner the biggest treat for me will be The Cazalet Chronicles. I can’t wait! When a new Mitford related book is released the online hype can be phenomenal. This new kindle biography on Jessica Mitford has only been released and already it has fellow Mitties clicking ‘download’. The biography itself surprised me– I should mention that I was sent an advance review copy of Churchill’s Rebel by Endeavour Press–it is a book crafted around Esmond Romilly and Jessica Mitford’s life together. To Meredith Whitford’s credit she has used a niche approach to the never ending story of the girls, the book itself launches straight into Romilly’s background rather than the subject so prominently featured on the cover. “The Boy Romilly” as he was not so affectionately known by his father in law, Lord Redesdale, is always depicted as the villain in Jessica’s story. The rebellious public school boy who led her astray and estranged her from her family. But is that entirely true? Romilly’s side of the story has been painstakingly researched by the author. She delved into endless archives on both sides of the Atlantic (the Churchill Archives in England and Jessica’s papers in America). She also flew from Australia to New York to interview Jessica’s children. My friend Joseph Dumas (a friend of Jessica’s and author of the foreword to my book) praised the biography as being “the most rounded portrait of Esmond Romilly I have ever encountered”. I’ve conducted a question & answer session with the author because I always believe it is best to hear the story from their point of view. When did you become interested in the Mitfords? I became interested in the Mitfords when, at about 19, I found “Hons and Rebels” and “A Fine Old Conflict” in the library — until then I’d never heard of the family and hadn’t yet read any of Nancy’s novels; although I soon fixed that! I think I then found Giles Romilly’s “Hostages at Colditz” (also p/a “The Privileged Nightmare”. Soon after that, IIRC, David Pryce-Jones’s book about Unity Mitford came out, and then came a whole rush of Mitford books, and I just kept buying them and reading them. One thing that attracted me, odd though it may sound, is that Lord Redesdale sounded so like my own father — my dad of course had no title but was a land-owner, and had the same humour and occasional temper, the insistence on punctuality, the abhorrence of “mess”, the rather old-fashioned outlook (makeup! the horror!) and even used some of the same expressions. Jessica’s depiction of the vague, unaffectionate mother rang a bell, too… Other than that, the Mitfords’ lives could hardly have been more different from mine, but they are interesting, aren’t they. Do admit. And of course, the more I came to know about politics (not taught at my hi-falutin’ girls school), the more that aspect of their lives fascinated me. Did you learn anything new about Decca whilst researching? I learned a great deal about Decca in researching the book. I’d better admit that I was frightfully annoyed by the anti-Dec & Es bias in Mary Lovell’s book, and thought at first of writing an article on that aspect. Then I started researching Esmond much more — read his two books etc, found out more about his family, got really interested in the Romilly side. I made contact with Giles Romilly’s son Edmund and daughter Lizzie, and met them when I was in England, and got a lot of useful info from them. The Literature Board of the Australia Council gave me a research grant to go to the USA and UK to use archives there, without which of course I couldn’t have written the book. I had hoped to find letters between Esmond and Churchill, but found none, disappointingly. He rather seemed to cut himself off from most of his family after Spain and marrying Decca — probably there was a lot of disapproval, and of course the death of their baby daughter, at 5 months, clearly affected both Decca and Esmond very deeply, and I think there was a natural wish to get right away from those memories. As a historian I believe in using primary resources wherever possible, and the family letters (mostly from the Jessica Mitford Archive in the Rare Books and Manuscripts Room in the library of Ohio State University) often throw a very different light on people and events from that given in secondary sources. One thing I did find is that “Hons and Rebels” (written without access to the mass of family letters, including Decca’s own; she only found them after her mother’s death, after “H&R” was published) rather misrepresented her and Esmond’s circumstances — e.g. they were never nearly as broke and bohemian as she remembered. One thing I did discover is that the famous Toynbee story of D and E behaving badly at Lord Faringdon’s house, Buscot Park, was a mixture of false memories and stories Esmond amused himself by telling the gullible Toynbee. As I note in my book, it never happened! Re cutting off from Dec’s family — I certainly think Esmond disapproved of them (altho they were his relations too) and wasn’t keen on too much contact, but I think Decca did a lot of her own cutting off. However, as letters show, there was in fact a certain amount of contact all round, with friends as well as family. I was impressed by your research into Esmond Romilly’s life. Nancy, Diana and Debo always paint him as some sort of villain. Do you think he played a part in keeping Decca from her family or do you think it was entirely her own choice to cease contact? What do you think would have happened had Esmond lived? Had Esmond not died… well, he and Decca almost certainly planned in 1939 to live permanently in the USA, but as we know she was on the point of joining him in England in 1941 when he was killed. It’s heartbreaking to read her joyous telegram saying she’d made arrangements to fly to England, with Dinky, next week, then as if in reply she got the ‘gram telling her Esmond was dead. So, if he hadn’t died then, she would have joined him in England, and altho it’s only a guess I think they would’ve stayed there. Had Esmond survived the war I think he would have tried to go into politics in some capacity, especially with the “Khaki Election” of 1945 sweeping Labour into power. Possibly Decca would’ve done the same at some point. At the least I see them working in leftish politics or local government, and no doubt both writing. But who knows? Will you write a sequel about Decca & Bob? I asked Mitford to write a short biography of herself. It seems all authors who end up writing about the Mitfords tend to have something (however small) in common with the family! Moi: oh dear, too boring. Born and raised in South Australia, loathe living in the country (farming family), wasn’t allowed to go to university so got married much too young, and divorced. Worked for Federal and State governments. Married again; husband is a mathematician and Bridge Grand Master and I can’t even play Snap, which may be part of why we’ve lasted. Went to uni as a mature student in the 90s and got a BA in History, English and Classics from the University of Adelaide. Wrote “Treason”, a novel about Richard III, which won the 2002 international Eppie Award for Historical Fiction and which still sells well, gets 5-star reviews and some lovely fan mail — especially since the recent discovery of Richard III’s remains kicked the book up into Amazon’s Top 100 Movers and Shakers. Became a publisher for a while, and published a lot of good books, till the tax system here in Australia, and the lack of interest within the literary world (we published e-books, you see, shock horror, back at the start of the century) meant we had to close. Wrote “Shakespeare’s Will”, which is largely about Shakespeare’s married life and his (putative) affair with the Earl of Southampton. When my publisher, Bewrite Books, had to close this year, Endeavour Press took on both novels as well as the Decca and Esmond book. Went back to uni in 2010 and got a Master’s in Creative Writing. Am now doing a Ph.D. on Margery Allingham, at Flinders University. Have been director of “Between Us” Manuscript Assessment Service since 1998. Am married (31 years on the 7th of May, and we’ve staggered on thru my 20 years of CFS/ME and husband’s brush with cancer; we both seem to have recovered now). Have 2 adult children; son is married, with 2 kids, daughter still at uni and at home. Have 2 cats and spend far too much time talking to them. Have 2 more novels in the works but must focus on the PhD. BTW. I like to tell people I’m lucky enough to be a synaesthete, and enjoy the funny looks when I explain.